The Google Project Tango tablet went up for sale earlier this month, the tablet is designed for developers and it retail for $1,024, and now the first tablets have started shipping out to developers. 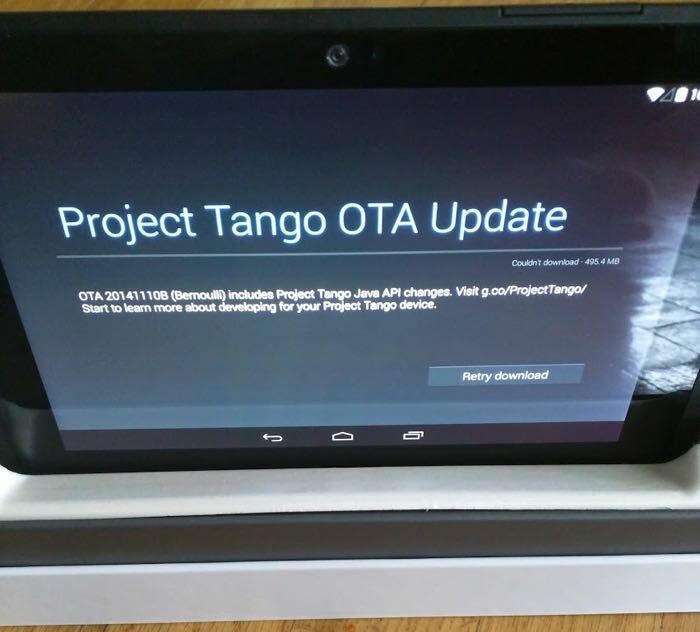 Developer Mike DiGiovanni has already received his Google Project Tango tablet, as have a number of other developers, and the device comes with some interesting specifications. 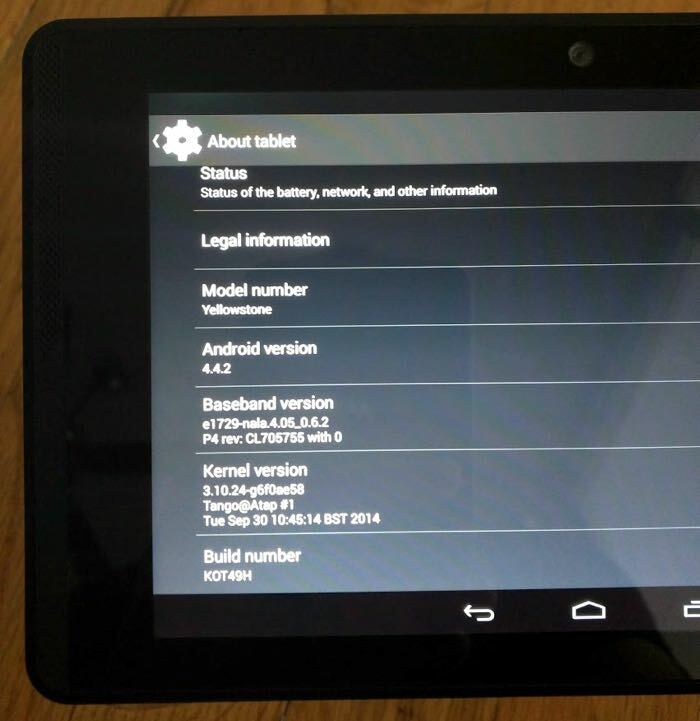 The Project Tango tablet comes with Android 4.4.2 KitKat, and the device features a 7 inch Full High Definition display with a resolution of 1920 x 1080 pixels. Processing on the tablet comes in the for of a 2.3GHz NVIDIA K1 processor and there is also 4GB of RAM and 128 GB of storage, plus a 1 megapixel front facing, fixed focus with IR LED plus a 4 MP 2µm RGB-IR pixel sensor, it also comes with NFC and dual band WiFi.